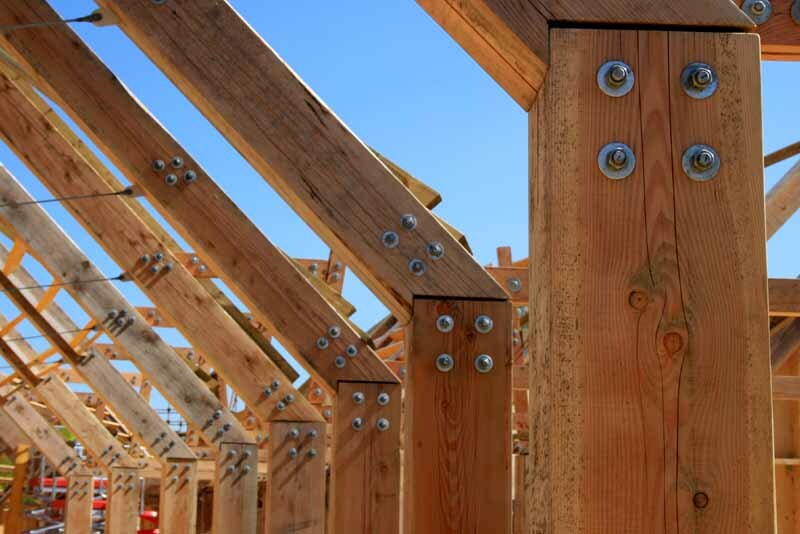 Timber construction has a long history and has more recently started to see declines in it’s use due to newer methods of construction such as steel frames. 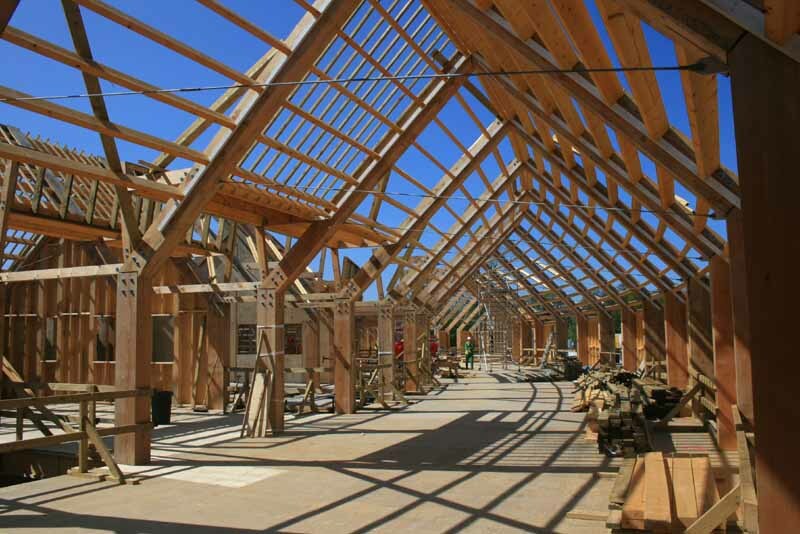 I think that timber construction is actually a more beautiful and elegant solution to constructing a structure than steel though. 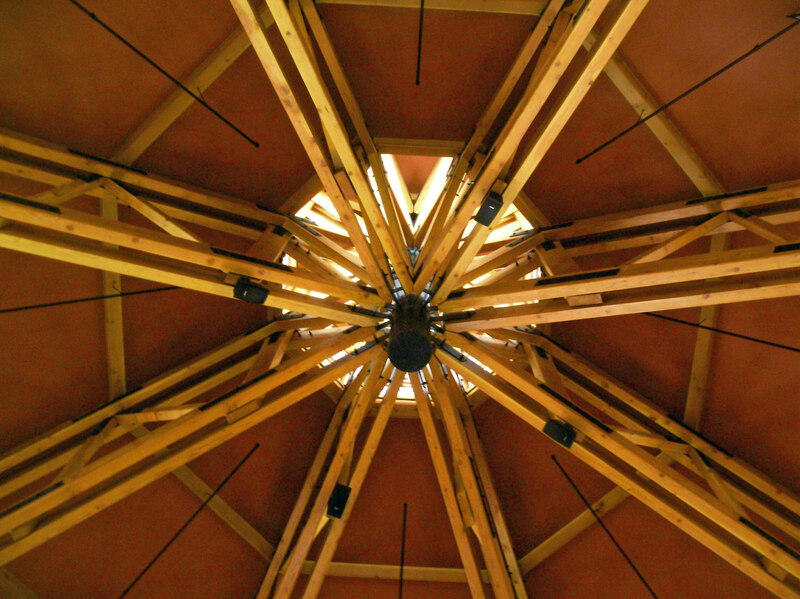 Whereas it may not be as strong or durable as some metals, wood is warmer and more inviting. In the top image, even though the structure is only a frame and there is nothing protecting from the outside, it still seems friendly and warm. Wood can also be used to create interesting details too, it is a very versatile material to construct with. Wood can need bolting to keep it together. This is necessary with joints, with which there are many in wooden constructions. Looking back at the top image, I am liking the idea of creating a swooping effect through the building. I am also liking the idea of not using cladding and allowing people to experience the outside from within a structure. Although cladding may be necessary in certain areas and/ or circumstances.